publishing | XKV8R: The Official Blog of Robert R. Cargill, Ph.D. The Biblical Archaeology Society (BAS) is pleased to announce the publication of the January/February 2019 issue of Biblical Archaeology Review (BAR 45/1), which is on newsstands now. During my first year as Editor, I am particularly proud of the number of new authors who have contributed to BAR, as well as the number of women and young(er) scholars we’ve been able to publish. We’ve also implemented a few changes, such as our new policy against publishing unprovenanced objects. 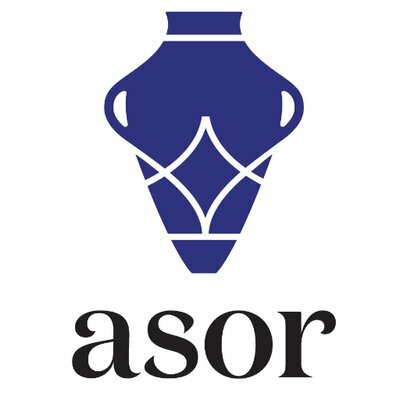 As I begin my second year as Editor, you can look for a few more gradual changes, including a redesign in the second half of 2019, a new website, more video and online resources, and a very special double issue highlighting some of the best archaeologists and biblical scholars in the academy. 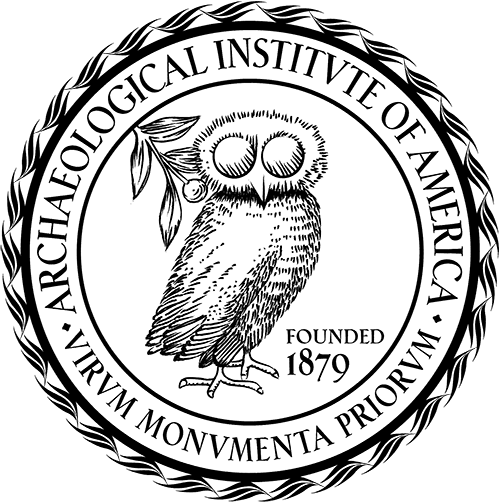 This Jan/Feb issue is the annual “Digs” issue, so if you’re interested in going on an archaeological excavation, this issue has info on active excavations, contact info, and (perhaps most importantly) scholarship information ($2,000 awards–see pg. 27) for volunteers who want to go and excavate. When the alarm clock blares at 4 a.m., it’s time to get up and start the dig day. Join BAR Editor Robert R. Cargill in his trademark tie-dye shirt as he walks you through a typical day in the life of an archaeological dig participant. It’s always grueling but never dull. And find out what excavation opportunities are available in the Holy Land this summer! From Tel Arad to Kuntillet ‘Ajrud to Jerusalem, Biblical scholar William M. Schniedewind guides BAR readers on a survey of ancient Israelite seals and inscriptions with an enigmatic title that has been variously translated “Governor of the City” and “Commander of the Fortress.” Who was this figure? Discover his importance and place in ancient Israelite and Judahite society. Excavations are underway at Tel Achzib—meaning “ruin of deception”—in Searcy, Arkansas. Created by archaeologists at Harding University, this artificial tell serves as a Biblical archaeology lab that introduces students to excavation technique and methodology. Especially for students unable to travel and dig in the Biblical lands, Tel Achzib offers a valuable, informative, and fun experience. You are invited to read my latest article in the Brill Journal Aramaic Studies entitled, “The Rule of Creative Completion: Neofiti’s Use of שכלל“. The verb שכלל never appears as the sole verb of a creative process in Targum Neofiti—a practice unique to TgNeof among the Palestinian Targums. Rather, the authors exclusively reserve שכלל for the final position of Aramaic verbal doublets and triplets that complete a creative action initiated by a prior Hebrew verb. This article examines each use of שכלל in TgNeof and demonstrates how its consistent usage—designated as the ‘Rule of Creative Completion’ by the author—can inform contested interpretations elsewhere within the text, and notably its presence in the extant text of TgNeof Gen. 1.1, as well as offer further evidence for an established Aramaic scribal style employed during the composition of Palestinian Targums. The article was actually the product of a discussion that resulted from an particular Seattle-based pastor’s failed attempt to invoke the targums as an apologetic for the doctrine of the Trinity. If you like Aramaic, or if you want to know why Targum Neofiti says absolutely nothing about the “Son of God”, give it a read. I’d like to conclude this session by speaking for a moment about instruction, research, and the future of online educational technologies. Patricia Cohen's New York times article entitled, "Digital Keys for Unlocking the Humanities’ Riches"
Just this past Tuesday in the NY Times, Patricia Cohen wrote an excellent piece about how instructors like many of us in the Humanities are beginning to embrace online digital technologies, which are now commonly referred to as the “Digital Humanities.” Like many previous new innovations in education, early adoption of the Digital Humanities as a legitimate and perhaps stand-alone field of study has seen a mixed reaction. There are those like Princeton historian Anthony Grafton, who argue that the Digital Humanities are means to end, and not ends in themselves. However, I’d like to argue that while a definition of “technology” as a set of tools most certainly satisfies that characterization, “Digital Humanities” has quickly become a burgeoning discipline in its own right. That is, while various technologies can be used as tools to improve instruction and research within existing higher education pedagogical approaches, the Digital Humanities as a field of study proposes new pedagogical approaches to education. So while many scholars are asking how technology can assist with their existing courses and approaches to instruction and learning, Digital Humanities scholars ask how these new technologies fundamentally change how one does instruction. It is the difference between laying technology on top of a course, and rethinking a course from the ground up in light of these new technologies. My research with the digital reconstruction of Qumran developed a new, quantitative approach to dealing with very large quantities of archaeological data that had previously been offered to the public only as in disparate chunks or individual reconstructions pushing particular viewpoints and interpretations. A new approach, specifically, a way by which to model multiple interpretations for multiple archaeological loci at multiple periods in time, each preserving the archaeological remains in a transparent and easy-to-access manner, was only made possible by employing the Digital Humanities, specifically, three–dimensional digital modeling, to capture the archaeological data published in primary and secondary literature in a database, model it, and make it available in real time. Thus, in my research, the Digital Humanities did not replace archaeology; it was a tool, a methodology by which to process and represent the data used within an existing discipline. However, the capacity to do this kind of visualization research, and to use it not only for instructional display, but for research as well, was only made possible by the advent of modern visualization technology. In that regard, the Digital Humanities can be said to be an independent field and approach to the processing of archaeological data in its own right. Regardless of which way you lean on the Digital Humanities debate – a set of tools within existing disciplines or a burgeoning, independent field of study of its own – the greater problem has been the dissemination of this information. There simply was no established outlet to publish my data – either in a public or academic setting. Imagine attempting to communicate an idea to another person, but not being able to speak, write, type, or sign. That is to say, the technology used at the cutting edge of research in some fields has outpaced the vehicles needed to publish the results appropriately. We are left with problem of trying to convince and perhaps compel an academy that clings to tradition and traditional ways of doing things to adopt modern forms of digital publication. The root of this problem lies in the fundamental incentive and motivation for scholars to publish: profit on the one hand, and tenure and promotion on the other. In order to alleviate the academy’s resistance to adopting digital forms of online publication, we must target the motivation. Few scholars make large sums of money selling academic books. Those who have discovered ways to make money by selling books are facing the reality of a shifting publishing industry. However, for most scholars, the motivation for publishing articles and books lies not in the income generated by studies of the variant forms of Aramaic verbs in Targums, but in the potential for promotion and tenure at our universities. Unfortunately, many tenure-granting universities still only acknowledge print-published volumes as “legitimate” when considering tenure and promotion, thumbing their noses at “digital” or “online” publications, which causes many scholars considering publishing online in digital formats to resist and instead publish their work in traditional paper and ink peer-review journals. Academic prestige still lies in the print-published textbook, not in digital, online course, and therefore, young scholars – those who are most likely to adopt new technological approaches and methodologies – opt for the status quo and publish their work in traditional journals, thereby thwarting progress and innovation in exchange for the safety and acceptance of an academy, which is only now beginning to experience the manifestation of its failure to adapt to and embrace the advance of online and digital forms of publication. Let us look at what has happened to different forms of publishing. Dot coms obviously were empowered by and embraced digital publishing and communication and have thrived. Brick-and-mortar businesses panicked when they first saw that Internet start-ups were quickly eating into their business. They solved this dilemma by buying up the Internet start-ups and re-branding them as their own. Newspapers did not and perhaps could not adapt to digital means of publication, and many have failed fantastically in record numbers. Those news outlets who have made the transition to online print may have survived, but not before yielding their market position at the top to upstart news outlets, integrated blogs, and news aggregators like the Drudge Report, Huffington Post, and the Daily Beast, which by the way just this week announced it had merged with Newsweek (remember them) and will be the online face of the venerable Newsweek, which only earlier this year was purchased for one dollar. Book publishers saw the writing on the wall and are only now embracing e-books. As evidence, I’ll point you to this statistic: this year marked the first year that Amazon.com sold more e-books than it did printed books. If this stat is shocking to you, you probably work for a university. The world has transitioned to e-books, online journals, and handheld devices. Dr. Jim West debunks the myth that scholars "curl up by the fire with their leather bound books." 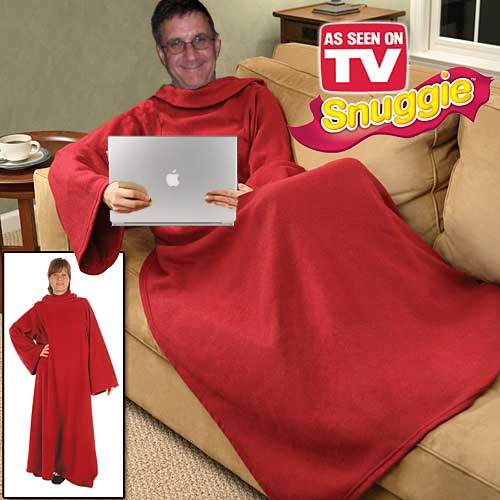 Here, Dr. West curls up on the couch in his Snuggie and laptop. This leaves the academy, which is only now beginning to seriously ask the question: “what’s happening?” As scholars, we cling to our books, and recite the now classic line that “I can’t curl up next to the fire with a laptop like I can a book.” And despite the romanticism of fireplaces and leather-bound books filling libraries smelling of rich mahogany (thank you Will Ferrell), the fact is that we scholars now get the bulk of our news online, do our research on JSTOR, digital libraries, Google, and even the ever-improving Wikipedia, we write in Microsoft Word, teach with PowerPoint or Keynote or Prezi, we email one another without end, and have not only have joined and created academic networks on Facebook, but have adopted our own scholarly version of Facebook complete with an integrated content management system called Academia.edu. The fact of the matter is, scholars do not do their research, teach their classes, or talk to colleagues curled up next to the fireplace. We do it in our beds with our laptops, online like everyone else. The world has gone online. It did so ten years ago, and the academy is quickly being left behind. In fact, we are so far behind, we are quickly being replaced by online universities, who have embraced and been empowered by online publication. And while we mock online universities, they are raking in record profits and expanding their course offerings, while traditional brick-and-mortar universities are standing idly by watching their funding being cut, their endowments shrink, their lecturers laid off, their scholarships trimmed, and their tenure-track positions not being re-opened as the last generation retires. The academy must embrace online publication before it goes the way of the Library of Alexandria – a noble memory about which proud legends are told, but that no longer exists! Thus, the challenge is to convince tenure-granting committees to accept digital forms of publication as not only legitimate forms of academic publication, but to accept it as the preferred vehicle for publication – one that not only publishes the results of research thereby creating knowledge, but effectively markets this knowledge by disseminating it in a manner that can compete with rival forms of lesser-informed knowledge being peddled to students and the public by various political, religious, and business entities. It is to the university’s advantage to publish in a form that best disseminates new ideas and research, while preserving a university’s most important asset: its brand, which is the symbol of a university’s credibility. There has been a paradigm shift in the management of knowledge. In the past, the credibility of an institution, be it a university, temple, or secret society, resided in how one hoarded and preserved sacred knowledge. However, modern repositories of knowledge like Google and Wikipedia are evidence that this paradigm has shifted. Today, knowledge management credibility lies with the institution that gives the most information away for free. Today, while we still may brag about how many $140 Brill volumes we have in our libraries, the truth is we more often tell one another about the latest place online to get tons of new, credible information for free. The paradigm has shifted from one of hoarding knowledge to one that freely disseminates knowledge. As such, the number of scholars using blogs, message boards, wikis, and social networking are increasing exponentially. And as a greater number of scholars publish online, the credibility of online publishing is raised. Likewise, scholars are slowly realizing that it is better for their scholarship to publish their research online where it is available for free or at very low cost, than it is to limit the visibility of their research to $140 volumes that only libraries purchase. Publishing online and marketing one’s research with meta-tags and keywords that push this research to search engines puts the research in front of the eyes of other scholars and the public, spreading the ideas widely, and therefore maximizing the chance that a scholar’s new idea is adopted as a consensus view. This is the new paradigm of the creation, preservation, and dissemination of knowledge, and it is only made possible by the efficiency and speed of socially networked online publication. If we can convince tenure-granting committees of the benefits of online publishing, the profit motive or benefit will have been altered in such a way to incentivize digital publishing, which will in turn market and promote the research of scholars who publish digitally. Now that we’ve identified the problem, allow me to offer three solutions to the question: how do we go from traditional, ink-on-paper volumes that tenure-granting committees love, but few people outside of professional conferences read, to online, digital publications that a) preserve the brand and credibility of the institution, the scholar, and the data; b) enhances the published research by disseminating results in such a manner that simply could not have been offered in traditional ink-and-paper printed volumes; and c) promotes that research online so it can compete with the information peddled by religious hucksters, alien enthusiasts, and the RNC (or DNC – either way, they’re both totally depraved)? You have heard many other ideas about blogging here today. The three solutions I propose now directly address publishers, authors, and instructors. The first solution addresses publishers. Quite frankly, we need more online journals, better online journals, and authors need to publish for them. 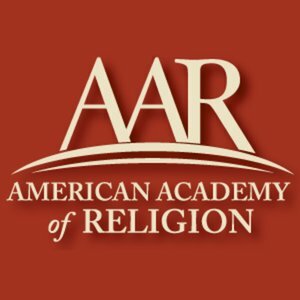 There are many journals that have online presences like the Journal of Biblical Literature or the Journal of Semitic Studies, but one must pay or even join these organizations in order to read their online versions of these journals. 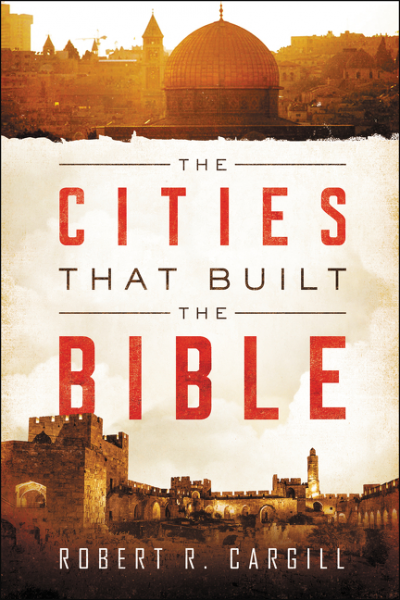 However, online journals like the Journal of Hebrew Scriptures and Bible and Interpretation solicit credible, scholarly research and make it available directly to all audiences – scholars and the public alike – for free. I would like to suggest that online journals (who may or may not also publish printed versions) who make their content available for free will not only experience a wider readership, and thus experience greater exposure for the ideas of scholars publishing in them, but will gain a reputation as the source of new, credible ideas, and because of this will gain a loyal readership and may, if they have one, experience increased membership because people like to be affiliated with successful, credible organizations like the SBL. In this sense, the free dissemination of information drives a journal’s or an organization’s credibility. In addition to requiring a dedicated editor to publish these journals, the problem with publishing online journals is soliciting quality material from credible scholars to publish with them. Therefore my second solution addresses authors. "The Dynamics of Change in the Computer Imaging of the Dead Sea Scrolls and other Ancient Inscriptions" by Dr. Bruce Zuckerman, USC. When appropriate, authors need to publish data digitally using media that best convey the results of their research. This is especially true for those of us in the Digital Humanities doing digital research that can only be done with the rise of computers, virtual reality, and the internet. One excellent recent example of this is a paper published by my friend and colleague at USC, Dr. Bruce Zuckerman, entitled “The Dynamics of Change in the Computer Imaging of the Dead Sea Scrolls and other Ancient Inscriptions,” available at the West Semitic Research Project’s Inscriptifact website. This paper, seen here, is a perfect example of a digital hybrid article. Note how Dr. Zuckerman, with the help of USC’s Institute of Multimedia Literacy, created and article that preserves the look and feel of a traditional print media academic journal complete with page numbers, thereby doing nothing to undermine the credibility that is conveyed by the appearance of the traditional format. However, Dr. Zuckerman has embedded within the article digital media, including video animations that convey digital research and information that a traditional ink-and paper journal simply cannot. By publishing in this fashion, Dr. Zuckerman offers a transitional solution, which allays the fears of traditional scholars and publishers by preserving their format, but also harnesses the new technological advances available to scholarship. This form of publication will serve as a bridge or even perhaps the very vehicle transporting scholars from traditional forms of publication to the online world of digital publication. My third solution addresses online instruction. It is now possible given technologies like iTunes U, to capture university lectures, assessments, and reading and resource materials in a digital format. Capturing these courses digitally via video lectures and free content management systems like Moodle, allows the technology sits atop the course, capturing it in such in a manner that it can be taught in person or online. By designing courses in this way, the same course can be taught by the same instructor to a room full of 100 students, or online to 10,000 students. This eliminates the apprehension exhibited by many tenured professors who worry that if online and distance education infiltrates brick-and mortar universities, they will have their jobs outsourced to online adjuncts or worse yet, to online, for-profit universities. Designing and capturing courses digitally, with an eye toward the hybrid or blended instruction, allows existing, experienced professors to become the distance learning instructors. By allowing the technology to capture existing university courses, the Digital Humanities can play a role in reclaiming undergraduate instruction from the for-profit universities and perhaps even eradicate them by offering better courses both in person and online. I should also add that I believe the future of textbook publication is the future of online course management systems. The two will become integrated to such an extent, that the digital textbook will include online animations, hyperlinks to all key words and definitions, and assessments designed to test the reader’s comprehension of the material. The course management system, be it Blackboard, Sakai, or Moodle, will be the textbook. Students could pay to license the book, or will get the book as a part of the course tuition (creating a new pricing model for textbooks). In this manner, scholars and publishers can work together to embrace the changes on publishing, and write digital textbooks for courses that are inextricable from each other guaranteeing the integrity of the course content, and ensuring the jobs of the existing university faculty who agree to teach online. If we can embrace this understanding of the Digital Humanities, and can convince university instructors – and specifically tenure-granting committees – to embrace digital publication as legitimate, then universities can establish the appropriate incentives needed to make online publication credible, and thereby save traditional universities from threats posed by cheaper, for-profit online solutions. The Digital Humanities will be less understood as a threat to existing disciplines within the Humanities and their scholars, and will be embraced more as a new tool in the ever-progressing evolution of Humanities instruction, if not a discipline in its own right. This is one of the best cases I’ve seen for the Digital Humanities, open courseware, and online publishing. It demonstrates the need for universities, and especially tenure-granting committees to consider digital media as equally worthy of consideration during tenure reviews as scholarly articles printed on paper in peer-review journals and monographs published by traditional academic publishers. This transition should be hastened by the present scampering of traditional print publishers to establish digital publishing presences online (as I’ve mentioned here). It is also a clever demonstration of the legitimacy that advances in online education, improvements in Wikipedia contributor rules, blogging, Google scholar projects, harnessing social media tools like Facebook and Twitter, course management systems like Moodle, and new forms of 3D and hypermedia publishing have brought not only to the Digital Humanities, but to scholarship in general. Give it a view and leave comments below. There’s an article in the October 8, 2010 issue of the Chronicle of Higher Ed by Jeffrey R. Young entitled, “As Textbooks Go Digital, Will Professors Build Their Own Books?,” that discusses using digital courses to build textbooks. McGraw-Hill Higher Education plans to announce its revamped custom-publishing system, called Create, with an emphasis on electronic versions of mix-and-match books. Macmillan Publishers this year announced a similar custom-textbook platform, called DynamicBooks. And upstart Flat World Knowledge touts the customization features of its textbooks, which it gives away online, charging only for printed copies and study guides. Other publishers have long offered custom-textbook services in print as well, though they have always represented just a sliver of sales. It is only a matter of time before someone develops a system that takes course content rich with media that many instructors have developed via PowerPoint, Google Earth, videos, sounds, and turns it into a book. The problem is, of course, that in doing so, we are actually going backward with regard to technological development. It’s the equivalent of the instructor who asks a tech in the media lab to make a 35-mm slide from a digital image, or a vinyl record from a CD. Publishing digital content in a printed, “analog” book is backward. The only problem is that many tenure-granting universities still only acknowledge print-published volumes as “legitimate,” and thumb their noses at “digital” or “online” publications. Thus, a problem of scribal technology persists. While technology for gathering and processing information has advanced almost exponentially, the accepted means of communicating this new information is stuck in a scribal format that is literally thousands of years old: the written word. Scholars have yet to adopt alternative means by which to receive and redistribute information developed and communicated in three-dimensional format. Far too many scholars are insisting that technologically minded scholars communicate digital information by analog means. Digital journals and online publications are a step in the right direction, but even these new digital publications are made to look like the traditional written pages of journals in many instances, rather than harness and utilize the interactive connectivity and visual capabilities available on the Internet. While the three-dimensional modeling of archaeological reconstructions is an improvement upon its hand-drawn predecessor, the full power of three-dimensional modeling cannot be realized because three-dimensional models are rendered into static illustrations of what was an otherwise dynamic environment. While three-dimensional modeling is a vast improvement over two-dimensional representations, the lack of a means by which to fully experience the three-dimensional model leaves the interactive power of the three-dimensional model untapped. In order to fully harness the power of the three-dimensional model, a virtual reality environment must be adopted. Only when an effective means of communicating three-dimensional data is accepted by the academy will the potential of this new technology be fully realized. This research also realizes the overt incompatibility of publishing a book involving digital reconstructions in three-dimensional space in the traditional paper and ink format. It is, of course, highly ironic that this three-dimensional research is looked down upon by many, who prefer the time-honored, traditional medium of the printed book, which cannot fully convey the technological approach described within its pages. It is as incomplete as literally trying to describe a picture with a thousand words! Thus, the present research calls on scholars, publishers, dissertation committees, and departments of archaeology, architecture, and other related programs to make themselves more accommodating to newer digital forms of publication. As the word processor has replaced the typewriter, so too will digital and three-dimensional formats soon replace analog and two-dimensional formats for publishing archaeological materials. These new digital formats should not be seen as “alternative” or lesser means of publication, but as “progressive” media that are on the cutting edge of modern archaeological research. 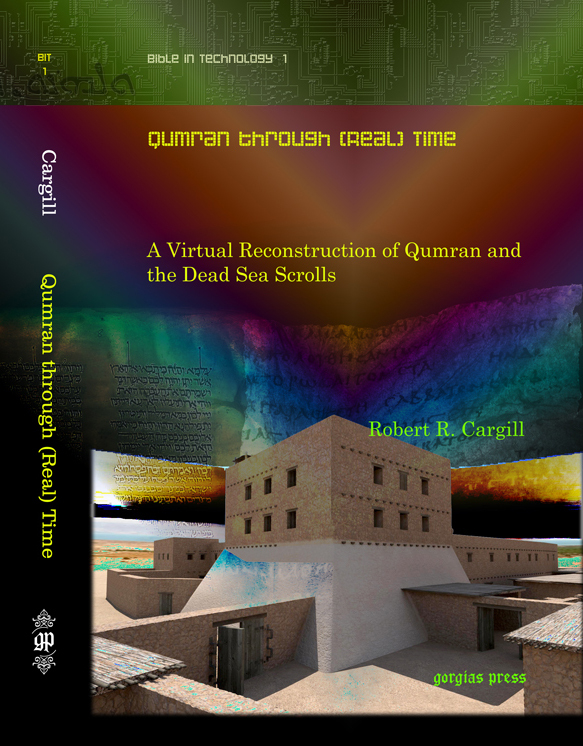 Cargill, Robert, Qumran through (Real) Time, (Gorgias, 2009), 217-18. The reason faculty still publish their classroom content as print-published books (and the reason publishers still offer published books) is because the money and academic prestige still lies in the print-published textbook, not in digital, online course. Until a solution is discovered that makes money for “publishing” the digital material online, and offers the same tenure-improving prospects of a textbook, printed books will be favored in university settings. Until then, instructors will continue to take rich instructional and research media and print it on paper for placement on bookshelves. Print on demand is a step in the right direction, but it will only be when university administrators, deans, and department chairs (that is, tenure-granting authorities) accept digital research as equally prestigious as the traditional print-published volume, and when nominal profit is available to the instructor providing the content that we will truly see an explosion in digital course materials available online. Until then, enjoy publishing your work with that prestigious publisher charging $150 per volume for your work, that only those who visit libraries will read.